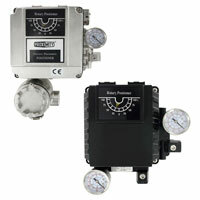 Precisor® II Pneumatic and Electro-Pneumatic Positioner delivers stable process control at an exceptionally low price. Excellent for use in chemical processing, food and beverage, pulp and paper, and pharmaceutical industries. Precisor® II Pneumatic and Electro-Pneumatic Positioner combines outstanding performance with an extremely low price, making it an exceptional value for industrial applications. Rotary Smart Positioner combines an easy to use, high performance unit with a low price. Controls the valve stroke of rotary motion valves. Compact and is easy to use with any size positioner. Compact Linear Smart Positioner is compact, low price, and high performing. 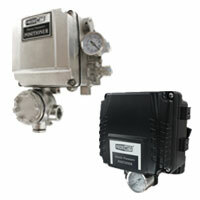 Controls the valve stroke of linear motion valves. Available with HART communication. Features a LCD screen. Compact Rotary Smart Positioner is compact, low cost, and high performing. Controls the valve stroke of rotary motion valves. Features a LCD screen attached to the outer surface of the unit.